Holly Elmore Images are published in various national and local publications. 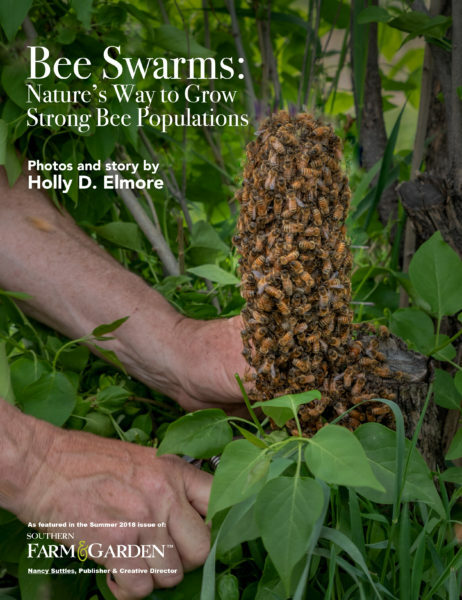 A two-page photo essay, Bee Swarms: Nature’s Way to Grow Strong Bee Populations, educates on the important role bee swarms play in propagating bee populations, both from the size of and the number of colonies. The photos were taken in Boulder, Colorado when Holly stumbled upon a beekeeper retrieving a bee swarm from one of his hives. In addition, Holly’s image of a rooster strutting on top of a farm compost pile is included on page 33 within the Healthy Soil = Healthy Food article. 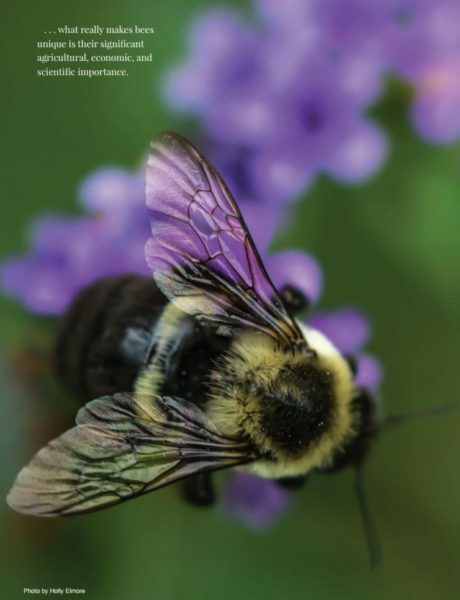 A six-page feature article, Restoring Pollinator Populations, gives an overview of challenges facing pollinator populations along with tips for pollinator-friendly gardens. Holly researched and wrote the article along with providing the images. In addition, Holly’s garden image was used for the issue wrap cover. 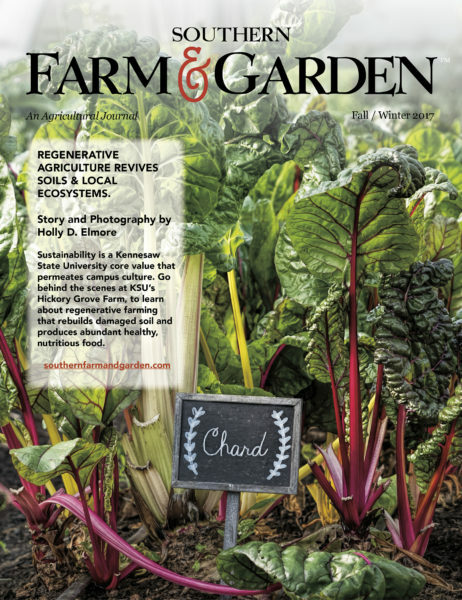 A seven-page, multiple-article feature, An Icon in Sustainability and Hickory Grove Farm: Regenerative Agriculture Revives Soils & Local Ecosystems, gives an overview of Kennesaw State University’s (KSU) stellar sustainability commitment at the Michael A. Leven School of Culinary Sustainability & Hospitality, The Commons (KSU’s Gold LEED certified dining hall), and Hickory Grove Farm. Holly provided the copy and photographs for the publication feature. 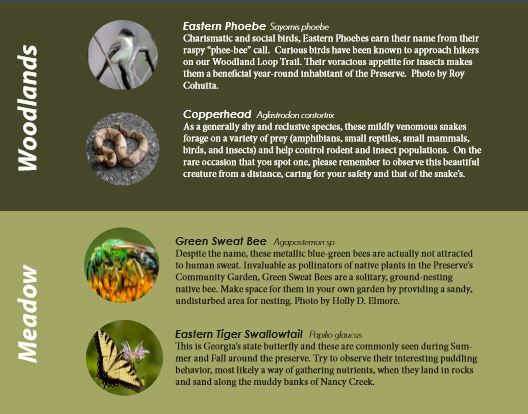 Holly’s green sweat bee photo is featured in the Blue Heron Nature Preserves 2017 brochure within the Meadows section. 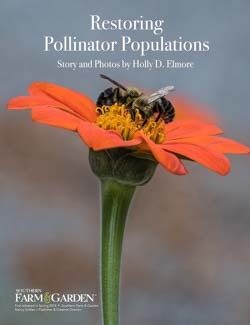 Three of Holly’s bee images were included in The Bee, a natural history article. 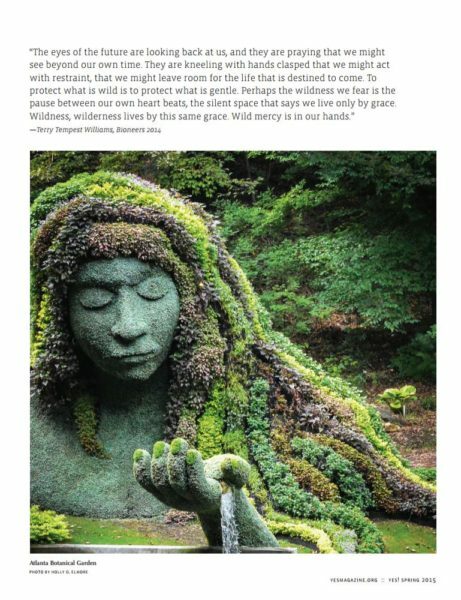 Holly’s Earth Goddess photo taken at the Atlanta Botanical Gardens was the full-page, inside front-cover image.